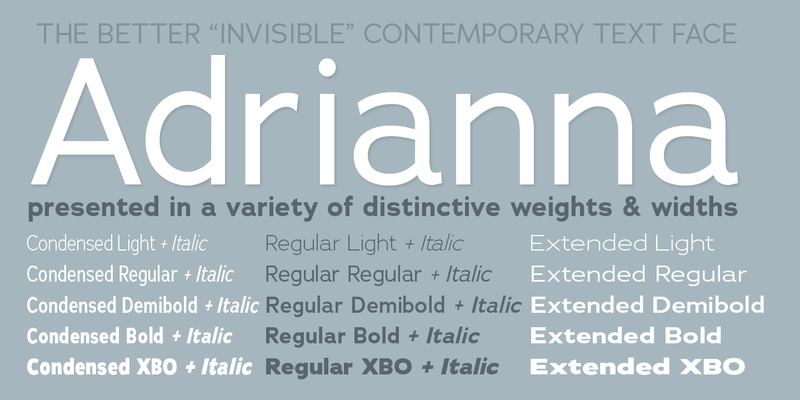 Adrianna is a fashionable yet restrained sans serif font family for sophisticated designs. 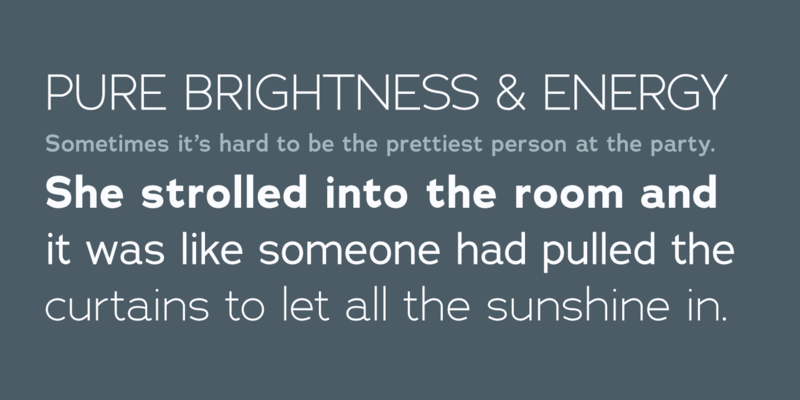 It’s a smart and versatile family of fonts, comprised of 30 styles across a range of three widths. 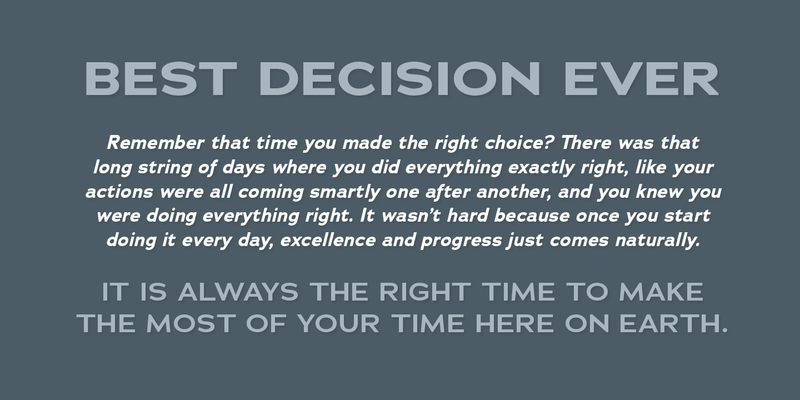 The Regular width is a plain and clear heavy-lifting font. The Extended variety is meant to look good on HDTV, horizontal phones and other modern wide output media. And the proportions of the Condensed makes it looks especially good when seen on a smartphone. It’s a legible and direct type family. 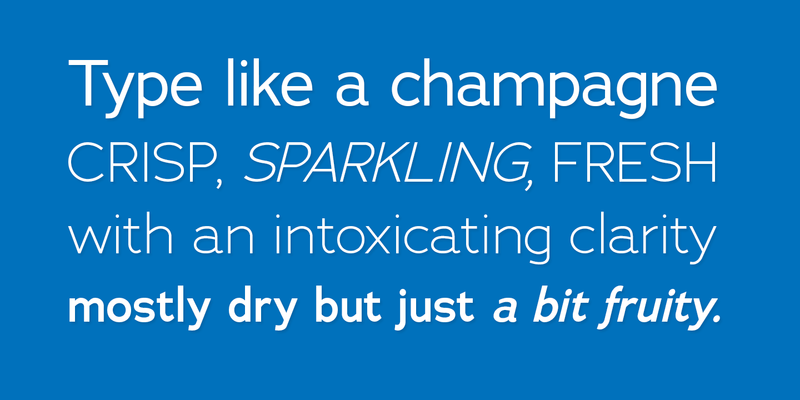 Ranging in 5 weights (plus italics) from Light to Extrabold in each width style, Adrianna has enough flavors to allow the finicky designer a broad typographic palette to work with. Inspired by the great sans serif fonts of the 20th century, Chank challenged himself to create a technical font family that is considerably more conservative than his signature display faces. As a quality control for this new direction, he solicited expert advice from award-winning type & design experts. Working from their critiques, Adrianna was carefully and thoughtfully refined by Chank Diesel to become the fine font it is today. This font family has been in development for almost 10 years and the result is a competent, smart new “invisible” sans for the new media of the new century.